NAPERVILLE, Ill. - Oct. 16, 2017 - PRLog -- An Amazon Best Selling Indie Military Thriller author, J.T. 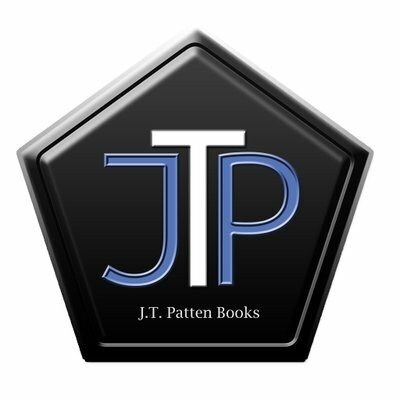 Patten, has recently announced a three-book deal with Kensington Publishing, one of the last remaining independent U.S. publishers of hardcover, trade, and mass market paperback books. Patten, a former intelligence specialist for the government and military special operations community, ironically hails from one of the safest cities in the U.S., Naperville, IL. But rest assured, there is nothing safe about the books Patten writes. Best selling Delta Force author, Dalton Fury, called Patten's books, "Blacker than black' and stated that those who know special operations know Patten knows his stuff. J.T. Patten's first series, Safe Havens, covers a seemingly mild-mannered intelligence operative living in the Chicagoland area. The fresh, albeit very dark, writing has been lauded by readers as having a genuine feel of authenticity. So much so, that the government still requires a pre-read of all Patten's novels before release. "I do have to submit to both the Department of Defense and the Central Intelligence Agency, and have a special disclaimer on all my books. It's not easy, but its the right thing to do. Both entities' publication review boards are great to work and I fully support ensuring that no National Security equities are disclosed, but its never fun to receive pages of redation requests for fictional writing," said Patten in a recent interview with Suspense Magazine. Patten's new thriller series, Task Force Orange, will similarly bring a breath of fresh air to the espionage, terrorism, and military thriller sub-genres by focusing on one of the most secretive special operations branches, the Intelligence Support Activity. When asked why Patten chose this topic, he responded, "I think the bookshelves have plenty of Navy SEAL and Delta counterterrorism novels. Don't get me wrong, I love reading them, but to create something new and innovative is tough when readers think 'been there, done that.' The TF Orange books will give readers something new as they enter the world where technology meets terrorist hunting. It's going to be really exciting but not bogged down with too much techno babble. People understand cell phone tapping, NSA database surveillance, and persistent presence drones. Jaw dropping twists and planty of bad guy body count will still keep military thriller readers engrossed. But, I think it opens the curtain behind current and future ops that few have a chance to be exposed to. Think Person of Interest meets Strike Back if you need a visual of some television shows that would be similar." He continues, "Some of the marketing tag lines we use, 'Welcome to the Black' or 'Get Read In' support this, and I hope new readers find that these books also provide content that teaches them something fun and new to escape their reality." Of course, Patten will still have to ensure the new series passes approvals before release. When asked about potential scrutiny, he responded, "Some of the SIGINT and areas that Edward Snowden exposed may be a bit dicey, but I still think I can be authentic and not expose things that should remain classified. Quite frankly, technology exploitation is happening so rapidly, that most commercial or dark web products superceed that of the spy world. So, really, if I write about some things, it'll probably be a couple years before the government would fund and adopt some things anyway. Maybe they can get some tips on innovative application." Expect to see the first of the series, Buried in Black, to be released Fall 2018. In the meanwhile, his indie books (Shadow Masters and Primed Charge) can still be purchased on Amazon and in some of the western suburb's Anderson Bookstores.